American Senator Jeff Flake is one of the most influential political pundits and a serving senator from Arizona, where he started as a congressman in the House of Representative with the Republican party. He proceeded to the Senate House after serving in the House of Representative for six tenures and defeating former American Surgeon Richard Carmona of the Democratic Party. He succeeded the retiring Senator Jon Kyle in 2013 and has seen to the amendment and passing of numerous bills into law. Jeff Flake is also known to be facing a lot of opposition in his political career especially with the fact that he opposes incumbent President Donald Trump. However, that does not seem to deter the determined politician. In fact, rumor has it that he will be running for President come 2020. Flake was born as Jeffery Lane Flake on the 31st day of December 1962 in Snowflake, a city in Arizona, United States of America. He is the son of Nerita and Dean Maeser Flake. 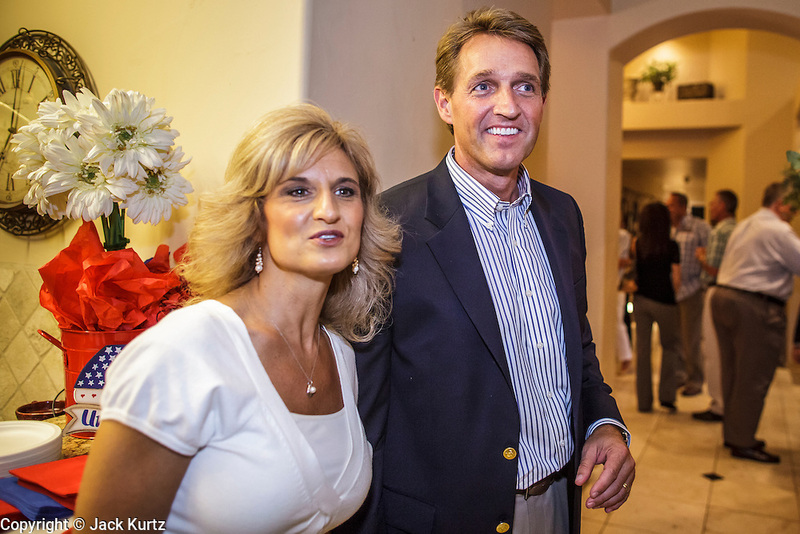 Jeff’s Uncle Jake Flake is also a politician who served in the Arizona House of Legislature as the Speaker of the State House. The politician was raised in a cattle ranch before he proceeded to study at Brigham Young University where he graduated with a degree in International Relations. He later bagged a Masters degree in Political Science from the same university. Jeff Flake started to work in a public relation firm after he graduated from the university but later moved to Africa to work at the Foundation for Democracy in Namibia, where he served as an Executive Director and worked at the Golden Water Institute also as the Executive Director of the Institute. 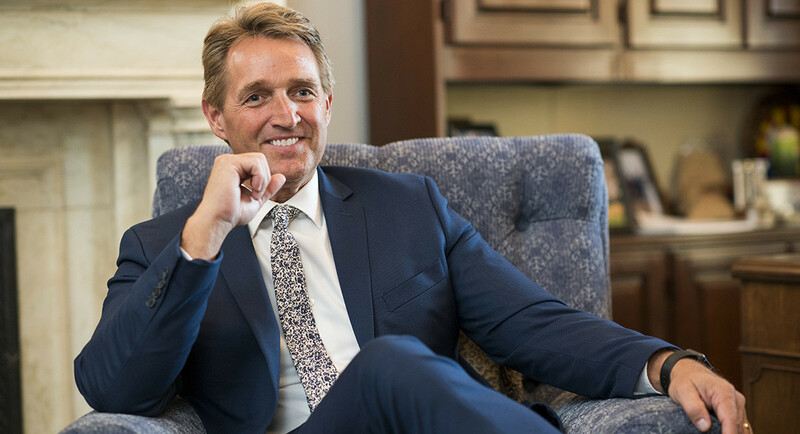 Jeff Flake began his political career in 2000 when he was elected as a congressman taking the place of seating Republican House of Representative member Matt Salmon who came down from his position in respect of his promise. During his campaign that same year, Flake promised to serve for three tenures, but towards the end of his third tenure, he revoked his promise and started to plan for his re-run election the following year. Despite being opposed by three mayors in his home district who didn’t want him to be re-elected, he came out victorious because he had no strong Democrat opponent, and eventually won against the Libertarian candidate. He served for an additional three tenures and his tenure ended in 2010. In February 2011, the politician publicly made known his intention of running for the Senate and he eventually won the Republican party primaries and was nominated to face the Democratic Party candidate Richard Carmona. He won the senatorial seat against his major contender Richard Carmona in a close-range victory. He resumed office on the 3rd of January 2013 coming after the Republican retiring senator Jon Kyl. Jeff Flake has served in several committee assignments which include: Committee on Energy and Natural Resources, Committee on Foreign Relation where he served as the chairman of the subcommittee on African relation, and Committee on the Judicial Matters where he headed a subcommittee on Homeland Security and Terrorism. He has also seen to the amendment and passing of several bills to law, including bills on Education, Defense, Labor, Foreign Policy, and Health. Although a lot of challenges and oppositions surrounds his political career, Jeff Flake is likely to contest in the 2020 Presidential election under the Republican party primaries against the incumbent U.S president, Donald Trump. Jeff Flake has amassed a reasonable amount of wealth and he is said to have made a lot of it from his investment in real estates and the stock market. His present net worth is pegged around $500,000. The American politician is a happily married man. He’s married to his heartthrob, Cheryl Flake. The duo met and started their relationship while still in the University and they got married in 1985, immediately after graduating from the University. The couple is blessed with five children, four sons; Austin, Tanner, Ryan, and Dallin including one daughter Alexis, who was a former beauty queen and is currently married to Jason Arias with whom she has a son. Her brother Austin was married to Logan Brown but the couple has divorced.